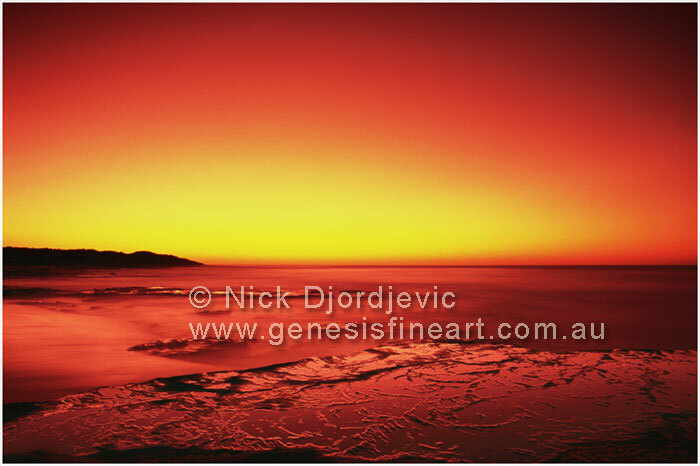 This landscape photo is titled "Dante's Beach " and was taken at Jake's Point, Kalbarri, which is about 600 km north of Perth, Western Australia. The picture was photographed with an 20 mm ultra wide angle lens and the length of exposure for this landscape photograph was 45 minutes. The image was shot on Fuji 50 ASA Velvia film and taken with a Nikon F4.